At Watches & Wonders this week, A. Lange & Sohne introduces some exciting new timepieces, one of which is the absolutely stunning 1815 Chronograph in a special boutique edition in 18-karat white gold with a argente’ dial and blue numerals and pulsometer scale. The new case/dial color combo is both bold and alluring. 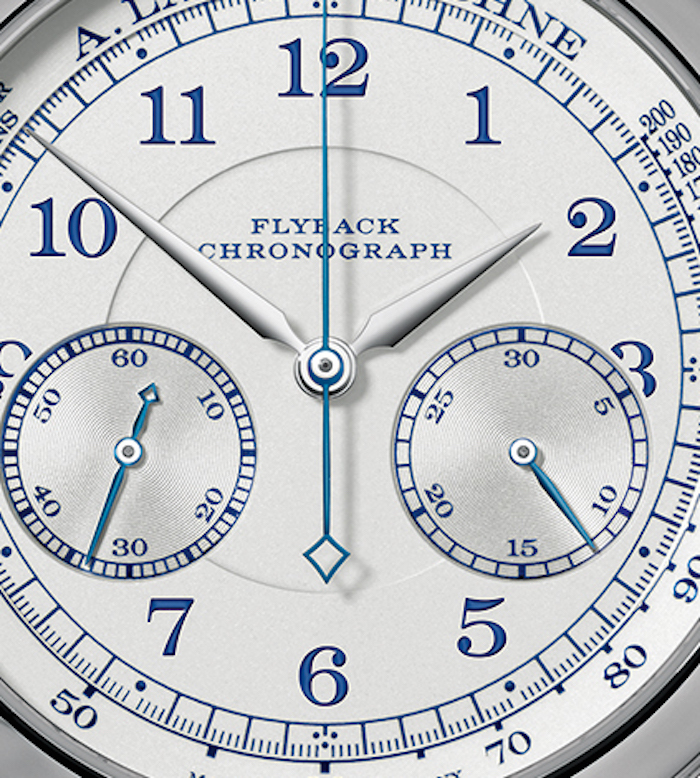 Since 2010, the 1815 Chronograph, with Arabic numerals and railway-track minute scale, has stood as a benchmark, a design winner that blends the charisma of A. Lange & Söhne’s coveted pocket watches with today’s wrist watches. The new watch, in honor of the 200th birthday of Ferdinand Adolph Lange, features an argenté-colored dial made in solid silver. The pulsometer, used to measure heart-rate, is activated by stopping the time while counting 30 heartbeats. Then, on the pulsometer scale, the chronograph sweep-seconds hand provides a direct reading of the number of beats per minute. The hands reflect the colour combination of the dial: hours and minutes are indicated with rhodiumed-gold hands. 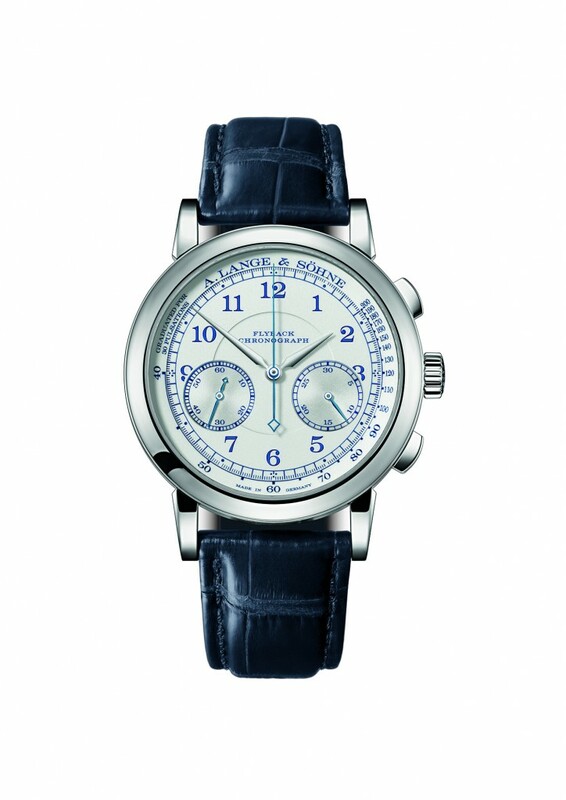 The chronograph sweep-seconds, minute counter and subsidiary seconds hands are made of blued steel. The L951.5 chronograph calibre is controlled by a column wheel, equipped with a snail for the precisely jumping minute counter and features a convenient flyback function. A large balance wheel with eccentric poising weights driven by a freely oscillating hairspring that is crafted in-house assures accuracy. The watch offers 60 hours of power reserve.